The unique form factor and small size of the sensor unit enables flush mounting at places where a concealed application is required. AXIS P1214-E is ideal for compact and covert surveillance in stores, architectural buildings, hotels, offices, banks and ATMs. The innovative design concept of AXIS P1214-E comprises a main unit and a separate sensor unit, enabling it to be mounted up to 8 meters (26ft.) apart. AXIS P1214-E, an IP66-rated model, offers a wide range of mounting options for indoor and outdoor installations. The supplied housing makes the camera suitable for discreet wall or ceiling mount, allowing an overview without being intrusive. 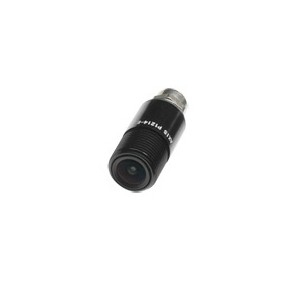 AXIS P1214-E Network Camera provides full frame rate HDTV 720p (1280x720 pixels) video in H.264 and Motion JPEG.